It is true that if pressed, José Antonio Rincón would have denied enjoying the experience because, regardless of the changes he endured during those three days last April, his basic nature remained the same. That is to say, José Antonio was, is, and will always be a contrarian. During his almost six decades of life on this earth his contrarian nature only grew stronger each year, with roots as reliable and resilient as those of a northern red oak. So if you asked him, did you like it, José Antonio? Was it pleasant? He no doubt would frown, purse his lips, and shout, “No, it was hellish!” However, if you said: Oh, what horrors! How did you survive it all? He very likely would smile and say it was all quite delightful, and he would sincerely express his hope that it should happen again and again and again. And so it was one Monday morning—on April 8 of last year to be exact—that José Antonio woke to his radio alarm with Morning Edition’s Steve Inskeep and Renée Montagne informing him of the day’s headlines. But he did not quite feel himself. My story is based in fact, not fancy, and I do not steal stories from others, especially not from dead foreigners with big ears. As I was saying, while José Antonio lay on his back that Monday morning last year, stirring to the sounds of his radio alarm tuned to his favorite public radio station—the one he fails to support with donations during the fund drives that he particularly enjoys listening to because he enjoys getting things for free—his stomach rumbled louder than usual, which prompted him to spread his palms on what normally would have been a respectable paunch earned through years of steady employment and hearty lunches eaten during the work week with yours truly. Instead, José Antonio’s splayed fingers felt the contours of well-defined abdominal muscles, those of a young man who went to the gym more times per week than José Antonio went in his lifetime . . . think Brad Pitt or Benjamin Bratt. He jumped out of bed—just as Renée Montagne explained how the Mexican government had agreed to release additional water into the Rio Grande from its tributaries outside of a seventy-nine-year-old water rights treaty in response to a devastating drought—and ran to the full-length mirror in the corner of his rather capacious bedroom. José Antonio lifted his pajama top and gazed upon perfectly cut abs, those of a young male model. How could it be? But then he noticed it . . . well, not it—a person is not an “it”—but the rest of himself. Where a paunchy, middle-aged, though pleasant looking man should have been staring back from the mirror’s surface, José Antonio focused his eyes on what could only be described as a Chicano Adonis! Better than Pitt or Bratt—if you can imagine such a thing!—he had transformed into another being. José Antonio called his supervisor and, in the best sicksounding croak he could muster, told her that he had caught that flu that was going around the office. She wished him well and recommended that he take the rest of the week off, particularly since he had accrued much too much annual leave credits which needed to be used before he hit the maximum of 640 hours and then—well, there would be hell to pay. José Antonio showered (allowing his hands to linger on his wonderful new body) and then shaved his dazzling face. José Antonio examined his closet wondering if anything would fit. Miraculously, when he donned his best wool slacks and a crisp cotton shirt, they slid onto his limbs as if they had been tailored for his new taller, trimmer body. José Antonio cooked a delicious breakfast of chorizo and scrambled eggs just as his late wife, Aimee, had done for him each morning for the short ten years they had together. 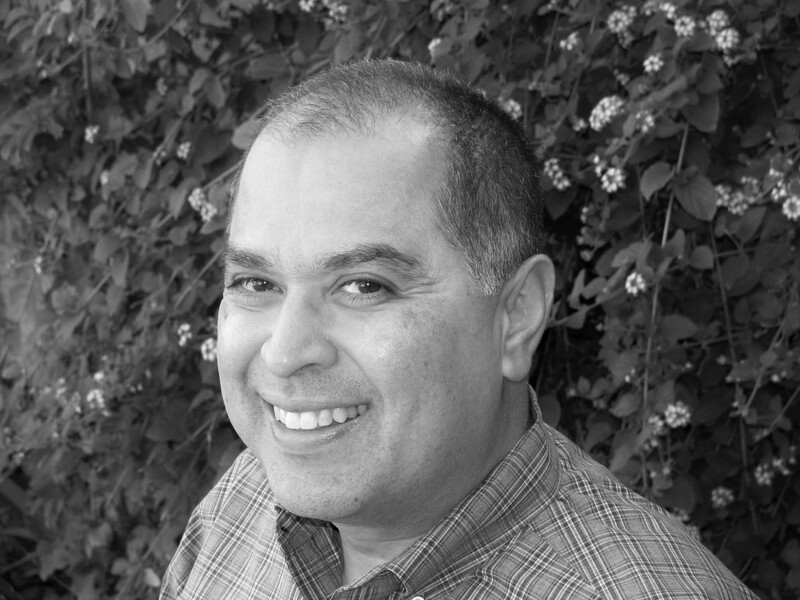 José Antonio then drove to the Westfield Topanga Mall in the west San Fernando Valley so as to stay as far as possible from his downtown office; he walked about the mall for several hours allowing many women and a few men to admire his newfound beauty. Once exhausted with “strutting his stuff”—as we used to say—José Antonio drove home and ate a simple lunch of wheat bread, sliced turkey, lettuce, and mayonnaise. He stripped down to his boxers and got into bed for a short nap. Unfortunately for my friend, fatigue overtook his new body in such a manner that his nap was not short. Rather, José Antonio slumbered for fifteen hours! Perhaps his new physical manifestation was extremely taxing on his system. Ah, who knows. But what did happen next only made his life much stranger. So, sitting in his boxers, José Antonio had a simple breakfast of oatmeal and black coffee (looking down at his new breasts and thinking them quite nice), showered (again allowing his hands to linger, this time in places he had not felt since Aimee had passed away), and searched his closet. This time he slipped into lightweight khaki trousers and a green Polo shirt that perfectly fit his shorter, broad-hipped new body. Where did he go this time? Well, José Antonio thought about it for approximately twenty minutes, attempting to listen to his new body—if that is even possible—and then it came to him: A pleasant hike on the trails of Griffith Park, nothing too difficult, just enough to enjoy the great beauty of the area while getting a bit of exercise. I love that area, which has been compared to New York’s Central Park, though Griffith Park is much larger and certainly more untamed and rugged. In any event, José Antonio found a pair of tattered tennis shoes in the back of the closet (again, they fit perfectly despite his smaller feet) and packed a small bag with bottled water and several granola bars. Oh, what an enchanting time he had! José Antonio drove up to the Griffith Observatory—which, as you know, sits atop the southern slope of Mount Hollywood—and walked the trails that undulate like a dusty snake around that great astronomical structure that was featured prominently in the 1955 classic, Rebel Without a Cause. Indeed, José Antonio spent a few moments contemplating the bronze bust of the film’s star, the late, great James Dean, before beginning his trek. Other than a few nods to other hikers, José Antonio said barely a word the entire day he was at the park. And again, when he got home hours later, he needed a nap and fell onto his bed without even removing his clothes. José Antonio woke that third morning—not even needing Morning Edition—sprang out of bed, and scrambled to the mirror. But this time, as he looked at his reflection he saw his old self. Well, not exactly. Yes, his face and body looked as they had Sunday night, but there was something different around the eyes . . . a clarity, an added intelligence. This is not to say that José Antonio is an obtuse man. No, not all. In fact, I must say that I consider him my intellectual superior. He can as easily offer casual discourse on hermeneutics and Hempel’s paradox as I can on jazz music and which wine to serve with zucchini linguine in a light herb sauce (an Austrian Grüner Veltliner, if you must know). What did he do? Well, José Antonio dispensed with his usual shower. Rather, he stripped off his dusty clothes, put on a robe, prepared a large pot of coffee, and sat down to write three letters. The first letter he addressed to President Obama. In it, he explained in exquisite and quite logical detail how to achieve peace in the Middle East. Next, he wrote to Dr. Tom Frieden, the director of the Centers for Disease Control and Prevention, offering nothing less than the chemical blueprint for the cure of most cancers. Finally, José Antonio wrote a letter to me, his best friend. In it—well, I would rather not share its contents. Suffice it to say it made tears come to my eyes. I have never read a more beautiful declaration of friendship. Once he closed the cover on the third book, José Antonio yawned, leaned back in his large stuffed chair, and fell into a deep sleep. The next morning he woke to find that he was himself again. Is that the end of my tale? Well, not quite. After coming back to work the next week and telling me of his experiences, José Antonio decided to take early retirement, sell his home, and move to a little town in Mexico called Dos Cuentos. Perhaps you have heard of it. In any event, that was almost three months ago. I receive e-mails from him almost every day. He is quite content writing a book based on his experiences of those three days in April. The title of his tome? What else could it be? He calls it, The Three Mornings of José Antonio Rincón, and he has maybe another fifty more pages left to write. I have little doubt that it will be published—he has shared several chapters with me, and I must say, my friend has quite a charming writing style—though José Antonio admits that he will have to call it “fiction” otherwise he will be rejected by the publishing industry as a lunatic. So, when his lovely novel does come out, please look for it in bookstores and remember that it is based on truth. And if you do not believe it, no matter. A story is a story. Nothing more, nothing less. 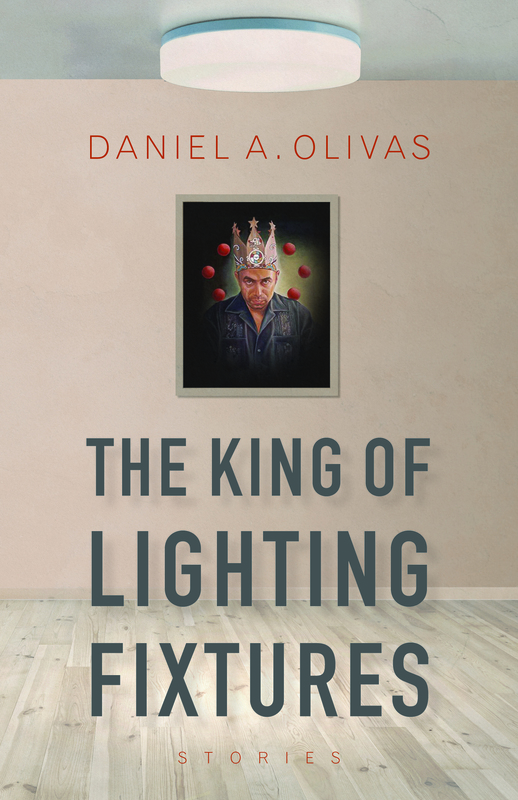 Adapted from The King of Lighting Fixtures, by Daniel A. Olivas, Copyright © 2017 by Daniel A. Olivas. 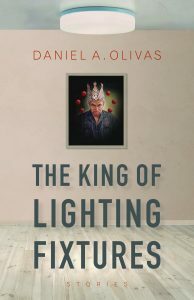 With the permission of the publisher, University of Arizona Press.